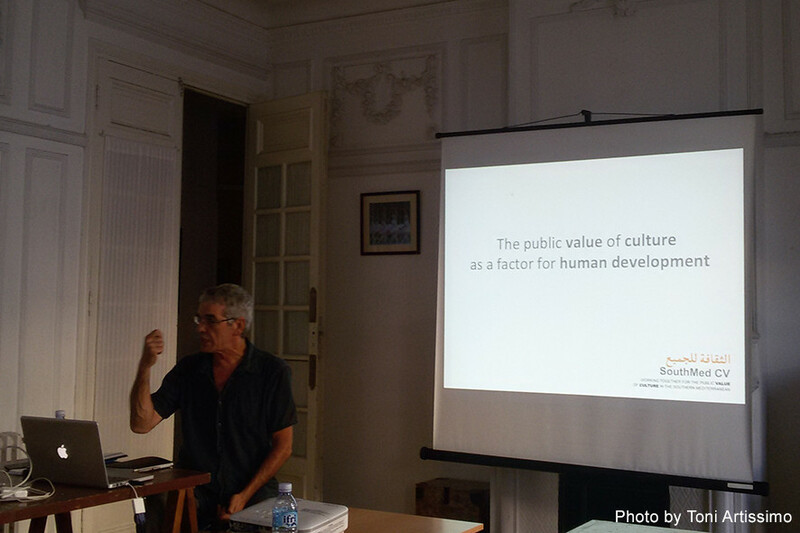 SouthMed CV project coordinator Toni Cots was in Algeria, one of the beneficiary countries of this initiative, to present the project´s mission and objectives to cultural operators. Particularly, details of the current call for funding of cultural and artistic projects that help in strengthening the role of culture at local, national and regional levels or enhancing institutional capabilities and management of cultural operators and arts organisations. The presentations were held from 10th-15th September in collaboration with many local organisations such as the art school Artissimo in Algiers, the Institute ISSAF in Constantine and the Association Bel Horizon in Oran. To apply for funding, cultural organisations from Algeria, Egypt, Jordan, Lebanon, Morocco, Palestine and Tunisia can submit applications before 2 November 2015. SouthMed CV is co-funded by the European Union under the regional programme Med Culture.